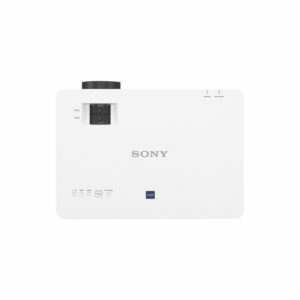 Enjoy detailed high-resolution and HDBaseT connectivity with the white Sony VPL-CH375 5000 Lumen WUXGA 3LCD Projector. It features 5000 lumens of brightness and a 2,500:1 contrast ratio. 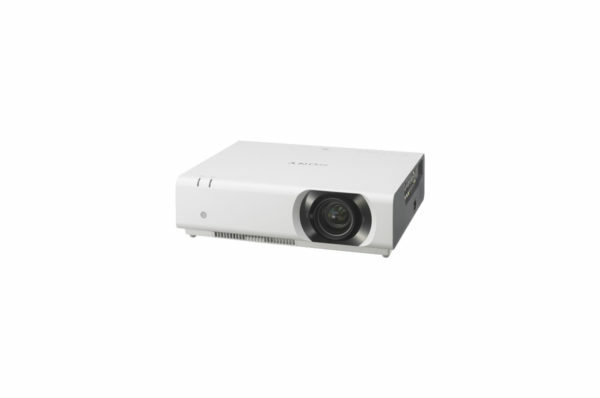 Additionally, this projector sports a WUXGA 1920 x 1200 native resolution for projecting vivid content. The VPL-CH375 is powered by a 3LCD display system, and the lamp features a long life of up to 3000 hours in normal mode. 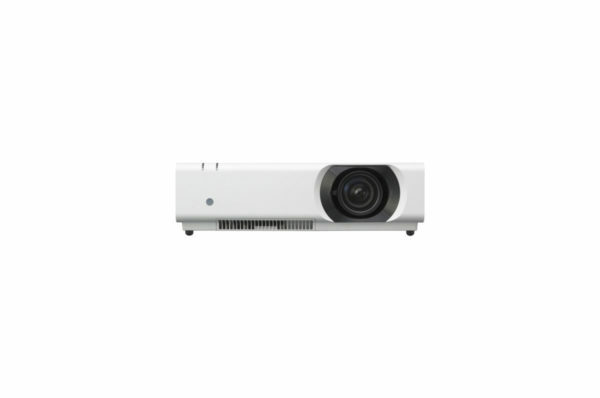 You can use the VPL-CH375 to project up to a 300″ diagonal screen size, making it suitable for large venues. 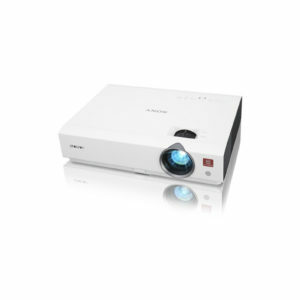 This projector also features a 1.5:1 to 2.2:1 throw ratio and a wide screen 16:10 aspect ratio. With VGA, USB type-A, USB type-B, composite video, S-video, and two HDMI inputs, this projector is well equipped for external control and source component connections. 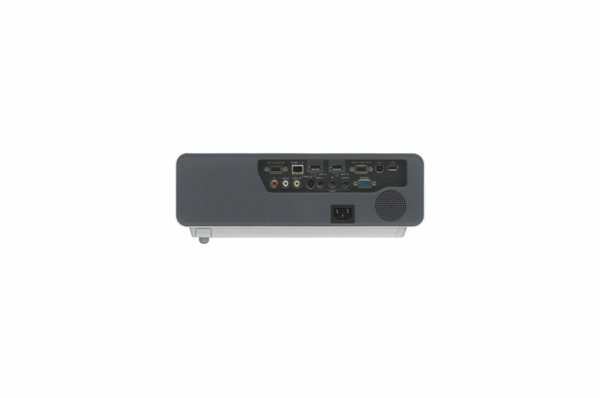 It also features an HDBaseT-enabled Ethernet interface for simplified system control. 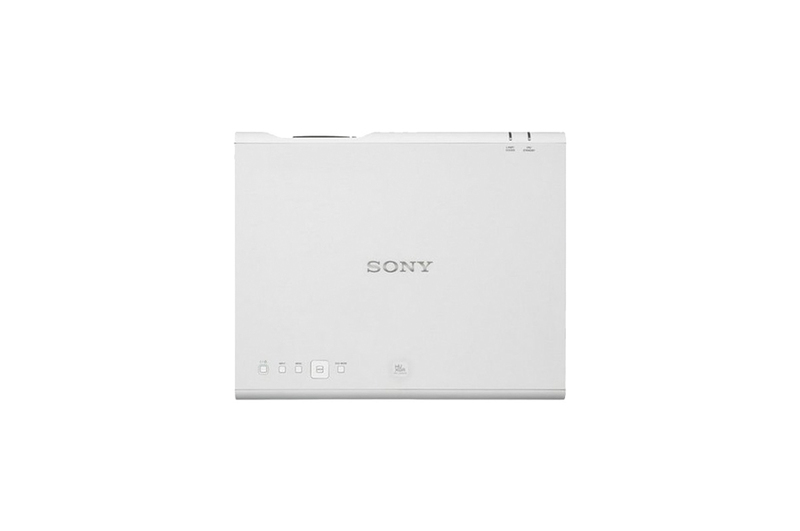 In addition to the inclusion of Sony’s Remote Commander remote control, the Sony VPL-CH375 offers convenient control from your network computer, smartphone, or tablet devices. 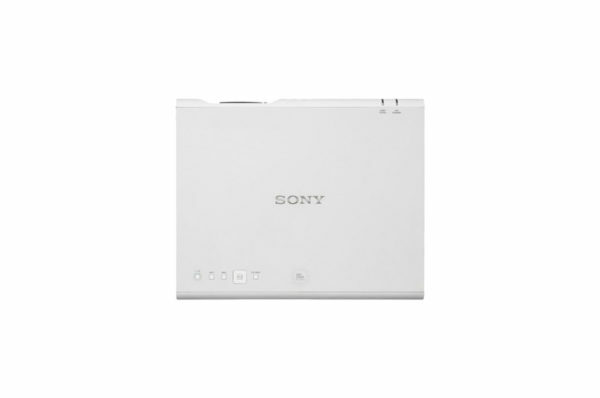 Other notable features include USB display support, a low 0.5W power consumption, a built-in 12W mono speaker, and a respectable 1.45x zoom. The VPL-CH375 delivers a WUXGA (1920 x 1200) native resolution, which exceeds Full HD 1080p. It also allows projection in a wider display range. More information can be displayed on screen, so the user can see the whole image without scrolling. Clear and detailed high-quality images are projected, even on a large screen, and native Full HD images can be projected full screen. 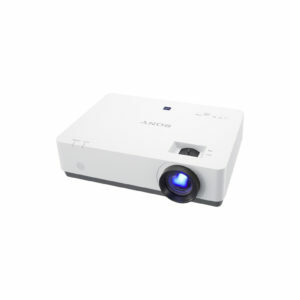 This projector incorporates a high-resolution lens know as the Advanced Crisp Focus (ACF) lens. Its large diameter and fine pitch help to ensure crisp images. 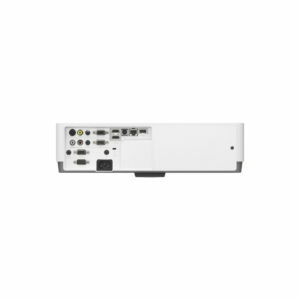 HDBaseT is a multi-signal transmission system via a single cable, which simplifies the installation task. One Cat5e/6 cable can run up to 328′, reducing the number of cable runs and eliminating the need for extender boxes and receivers. In addition, Cat5e/6 cables can be easily terminated, even onsite during the installation process. 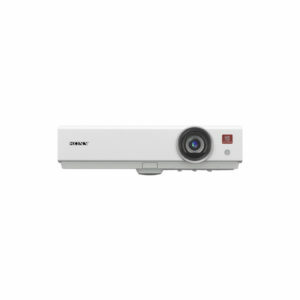 With this projector, keystone correction up to +/-30° vertically and +/-20° horizontally can be digitally corrected via the on-screen operation and/or the included Remote Commander remote control. This enables detailed images to be projected with their correct geometry, even when installation space is limited. This projector is equipped with a lamp dimming function. After 10 seconds of a static signal feed, the lamp dims by approximately 15%, which is barely noticeable. 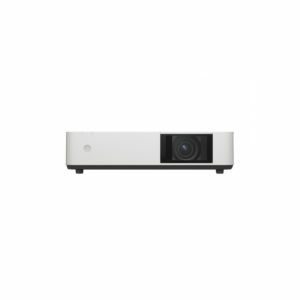 If the projector is left powered on when not in use, after a set period of time, it automatically detects no change of signal input and will dim the lamp as low as approximately 30% of the original image, significantly reducing energy consumption. The brightness of the lamp’s output is automatically adjusted depending on the brightness of the projected image, helping to avoid unnecessary power consumption. When showing darker images that do not require high brightness, lamp output decreases. The VPL-CH375 can temporarily disable video signal output. 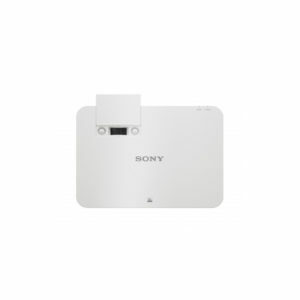 This function is operated with the touch of a button on the remote control. Additionally, this function allows blank image projection with low power consumption using lamp control technology. When the VPL-CH375 is installed on a LAN, presentations can be projected from any Windows or Mac computer on the network. A tablet or smartphone can also be connected at the same time. Users can project JPG, PDF, and other supported formats. Up to four users can project computer images simultaneously, while up to 8 users (7 for wireless) can connect to one projector.